Looking for an eye catching logo to be used on the business wesbite. Winning design makes me pull-off my hair..Anyway surprisingly congrats..
Zubairthreaded had much better design with globe IMO. altercations and modification in PMB are illegal after contest is ended i believe cause you get every chance to review the files during handover period if contest holder isn't satisfied. good smile to respect other designer. Zubairthreaded submit the globe concept first... whatever. cru*** think. whatever. piece between designer. its all not about the money. respect and share. no designer mean no freelancer.com. hey guys... contest holders sometimes, if they are liking what they see from designers, send private feedback or post on the public board asking for adjustments and alterations to designs.. that is how ideas develop along the way in contests sometimes. Also if you have a good idea that doesn't totally match the brief it is no harm to submit if you think it is worth a shot! Doomdesigner, no - selling computer mouses is not our business. Thanks for your interest. @ Zubairthreaded : I was not mad at you, bro. I'm just mad at CH who didnot make it clear in brief. If he loves the idea with globe that much, he should've told everyone. It made me feel like wasting time for nothing. Jerrylicius, we came to like the globe after receiving concepts that included a globe. We also very much like a concept that does not include a globe. Obviously, the brief pre-dated receiving any concepts. SIR UR SITE NAME IS ?? 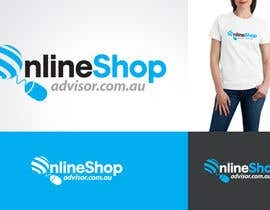 ?nline Shop Advisor??? 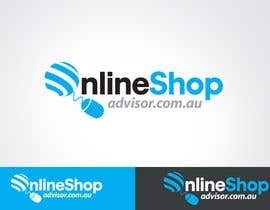 OR Online Shop Advisor ??? Thanks ArnavC, thanks for the design, but it wasn't quite our style. Hello. Kindly give a feedback on #57. Thanks. Hi CreativeCG, thanks for the design, but we decided to reject it in light of some of the other designs that came through which are more in line with what we think will work well on our website. Also, applicability of the design across other collateral is an important factor and we couldn't quite see this design working on letterhead, business cards, etc. compared to some of the other designs. Thanks again. Just added #255 to show what it looks like with other colors. Again, colors etc...are all easily modifiable. Also, the flower on the shopping bag can also be excluded, or instead of the flower it could be anything of your choice (smiley face, tree, etc..). Just wanted to specify. Thanks again! Hey, #242-250 - Absolutely anything can be modified, colors, sizing, spacing, etc... I just did it with the girly colors because let's face it, girls shop ALOT. I hope you like them. Please check #220 and other options of my designs, feedback would be appreciated. Thanks !! plz sir check my new style design kangroo for aust sign .. I can make another mix of colors if you want..or any other modification, you think needed. I decided on orange and gray cause i think it shows a balance between a fresh and dynamic color vs a neutral and formal, it is also "unisex" and i consider is eyecatching, is not plane and when you see it you can tell its current, meaning what you see is what you get.